Holes in the Sky is a genre-fluid, multi-generational collection of music written and performed by today’s leading female artists, celebrating the contributions of phenomenal women to the past, present and future of American music. This music tells the story of what girls can contribute to the world when they are given a chance. Their dreams can make holes in the sky. 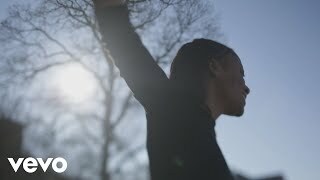 The album is presented in partnership with PLAN International Because I Am a Girl, supporting the rights and empowerment of girls and young women around the globe. Music by Margaret Bonds, Judy Collins, Jennifer Higdon, Billie Holiday, Mary Kouyoumdjian, Abbey Lincoln, Joni Mitchell, Meredith Monk, Paola Prestini, Florence Price, Hazel Scott, and Nina Simone, and many more. Lara Downes is an American pianist dedicated to expanding the resonance and relevance of live music for diverse audiences. A trailblazer on and off-stage, she follows a musical roadmap that seeks inspiration from the legacies of history, family, and collective memory. Downes’ playing has been called “ravishing” by Fanfare Magazine, “luscious, moody and dreamy” by The New York Times, and “addicting” by The Huffington Post. Lara’s forays into the broad landscape of American music have created a series of acclaimed recordings, including America Again, selected by NPR as one of “10 Albums that Saved 2016”, and hailed as “a balm for a country riven by disunion” by the Boston Globe. Her recent Sony release “For Lenny” debuted at #15 on the Billboard Classical chart and was awarded the 2017 Classical Recording Foundation Award. Downes enjoys creative collaborations with a range of leading artists, including folk icon Judy Collins, cellist Yo-Yo Ma, baritone Thomas Hampson, former U.S. Poet Laureate Rita Dove, and multi-instrumentalist/composer/singer Rhiannon Giddens. Her close partnerships with prominent composers span genres and generations, with premieres and commissions coming from Jennifer Higdon, John Corigliano, Stephen Schwartz, Paola Prestini, Sarah Kirkland Snider and many others. Downes’ fierce commitment to arts advocacy, mentorship and education sees her working in support of non-profit organizations including the Time In Children’s Arts Initiative, PLAN International, the Sphinx Organization, and NPR’s From The Top, where she will appear as a featured guest host in Spring 2019. Her newest touring and recording project, Holes in the Sky, a Portrait release coming in February 2019, celebrates the contributions of phenomenal women to the past, present and future of American music. PRESS PHOTOS: initial press photo has been uploaded here. More will be uploaded should they become available. Additional assets to be confirmed/advised. 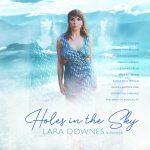 Lara Downes will launch the album in concert on February 23, presented by Washington Performing Arts. She will be joined by special guest Rhiannon Giddens for the event. This premiere will be followed by a national concert tour. Ms. Downes is also continuing a season-long arts education collaboration with Washington Performing Arts, connecting with school children in the D.C. metro area.